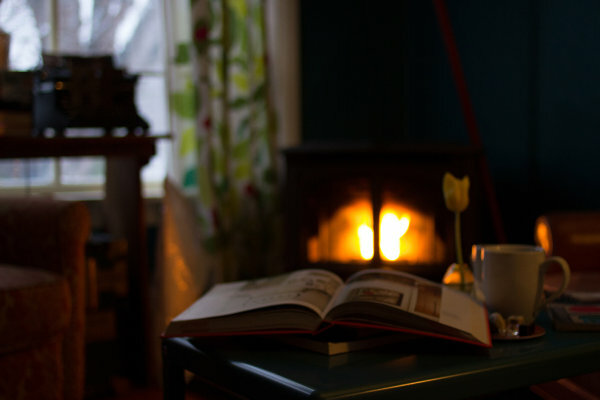 With cold winter nights and days creeping in, people find comfort in curling up in front of the woodburner. It’s a busy time of year for decorators, with customers wanting to revive tired-looking woodburners and spruce up the living room ready for the New Year. Painting a fireplace requires specialist heat resistant paint to create a safe and long-lasting professional finish. Here we look at a few safe and effective painting systems for getting the job done. If you are painting a skimmed surface, you’ll need to make sure that fire and flame-retardant board and skim have been used. Materials such as brick and stone will withstand heat but will still require a heat resistant paint system. A flame retardant paint is only effective if the surface beneath is properly prepared. To achieve best results, ensure the surfaces to be painted are sound, clean, dry and dust-free. Remember to work in a well-ventilated area. Sandpaper, scraper, dust sheets, dust masks, primer and paint brush (if required), cleaning product and surface filler. Remove dirt, grease and any other surface contamination that could affect adhesion. •	you are applying a flame retardant top coat in an eggshell finish. •	you are applying a water-based finish on top of solvent-based or glossy paint, or on a very hard and impermeable surface. Sand surfaces to provide a good key. Previous coatings that are blistering or unstable should be removed and a suitable stabilising or primer-sealer product used if necessary. Prime or a mist coat the surface in line with the paint manufacturer’s instructions. A stain block should be applied to soot-stained surfaces. 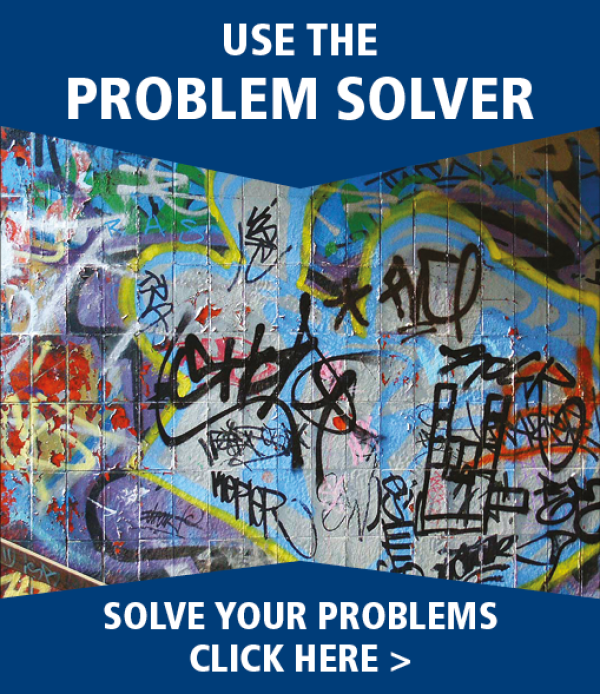 A primer-sealer stain block solution can be used as an all-in-one treatment to tackle stained surfaces that are also unstable. Fill surface defects with an appropriate filler. Depending on the paint you’re using you may need to spot prime any filled areas. Refer to the manufacturer’s instructions. It is possible to paint fireplace walls, surrounds and mantles with heat resistant paint but they generally only come in silver and black colours. These aren’t terribly popular colours in a domestic living room! 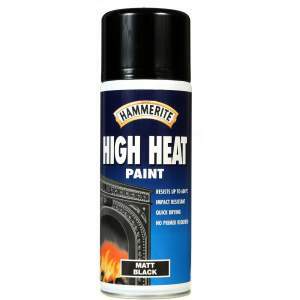 The most versatile solution for painting walls and woodwork in and near a fireplace is to use a flame retardant topcoat. These products are available in a much wider variety of colours and conventional paint finishes such as matt emulsion, gloss and eggshell. The paint system that you use will depend on the product that you choose. Most fire-retardant matt emulsion, gloss and eggshell finishes can be applied by brush, roller or sprayer. Some eggshell manufacturers recommend spraying to achieve the best possible finish. Some products may require the use of a respirator. Hand, eye, and skin protection are also advisable in addition to a respirator when spraying paint products. Refer to the manufacturer’s safety data sheet for details. 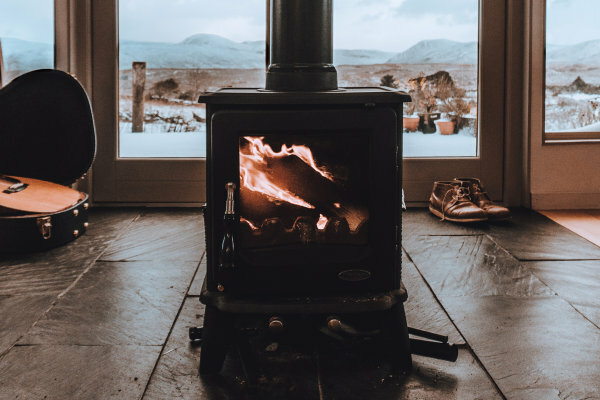 First things first — make sure the woodburner is not in use or warm from recent use! Sandpaper, wire-wool or disk sander, scraper, dust sheets, dust masks, cleaning product, metal filler and a well-ventilated room. In some cases, it may be necessary to use a high-pressure steam cleaner. Use a suitable cleaning agent to remove dirt, loose rust, oil, grease and any other substances that could affect adhesion. Sand existing intact surface paint manually or with a disk sander to provide a good key. Feather back to sound edges where applicable. If the surface is particularly unstable then high pressure steam cleaning is recommended to achieve a sound surface. Fill surface defects with an appropriate metal filler. 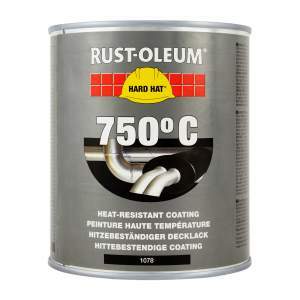 Heat resistant paint products are the safest and most durable paint for woodburners and metal fire surrounds. They can withstand extreme temperatures, restore the condition of the fireplace and protect the metal from corrosion. Product colours are limited, largely to black and silver, due to the discolouration that can occur at high temperatures. The paint system that you use will depend on the product that you choose. 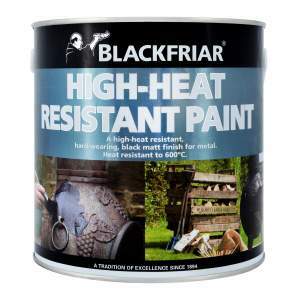 Some heat resistant paints come in the form of an aerosol for easy application, others are suitable for use with a brush, roller, air sprayer or airless sprayer. It may be necessary to thin the product in accordance with the manufacturer’s recommendations. In general, three coats are required to achieve the best finish. Most manufacturers of heat-resistant paint state that respiratory, hand, eye and skin protections should be worn, particularly if using the spraying method. Refer to the manufacturer’s safety data sheet for details. Why aren’t regular paint systems suitable? When in use, woodburners can raise the temperature of nearby walls, mantles and surrounds to extreme temperatures. This poses problems for regular paint systems. From an aesthetic point of view, cracking, peeling and flaking and discolouration of surfaces is common. From a safety point of view, paints that aren’t designed for painting a fireplace are often combustible. These paints will generally retain their appearance when exposed to excessive temperatures produced by fires, woodburners and bbq's. Colours generally limited to black, grey and silver. These coatings reduce the spread of flame to give an increased window of time in an emergency situation. 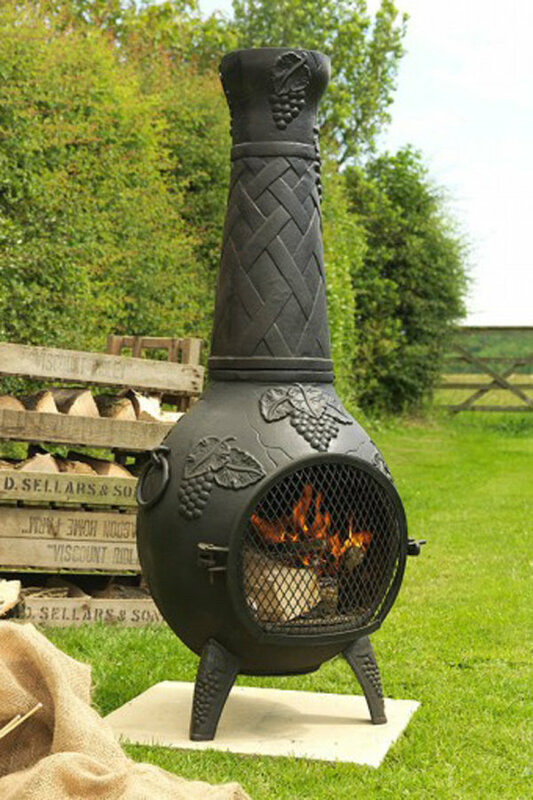 Ideal for use around fireplaces and where fire safety regulations are in force. Intumescent coatings, expand in response to flame heat to create an insulating barrier that protects the material beneath it and reduce the spread of flame. This maintains the integrity of the structure giving an extended period of time for evacuation. It is important in all cases that the manufacturer's recommendations are followed to ensure the correct performance of these coatings. Sign up for more Know-how straight to your inbox!